APhA’s Delivering Medication Therapy Management Services is an innovative and interactive certificate training program that explores the pharmacist’s role in providing MTM services to patients. Pharmacists have a tremendous opportunity to receive reimbursement for monitoring and improving medication use in patients with complex medication regimens. This practice-based activity teaches pharmacists the essential skills necessary to become a successful MTM practitioner. The certificate training program will enhance pharmacists’ clinical expertise in evaluating complicated medication regimens, identifying medication-related problems, and making recommendations to patients, caregivers, and health care professionals. This certificate training program has 10 hours of home self-study to be completed prior to the live training. Delivering Medication Therapy Management Services certificate training program is conducted in three parts: self-study activity and pre-seminar exercise; live interactive seminar; post-seminar exercise. A Certificate of Achievement will be awarded to participants who successfully complete all program components, including an evaluation form. Explain the key components of medication therapy management (MTM). Discuss the MTM provisions of the Medicare Part D benefit, including requirements established by the Centers for Medicare and Medicaid Services and the Affordable Care Act. List new opportunities for providing MTM services that were created by the Affordable Care Act, including patient-centered medical homes, accountable care organizations, and transition of care activities. Cite data that describe the current status of MTM provision in the United States. Identify potential sources of reimbursement for the provision of MTM services. Define the five core elements of the MTM service model. Discuss the development of quality measures for MTM services. Describe the economic and clinical outcomes that are affected when pharmacist-provided patient care services increase. Explain the importance of advocacy to the development of MTM services. Describe the components of a business plan. Evaluate the strengths and weaknesses of current pharmacy operations and list potential services and barriers using a SWOT analysis and needs assessment. Write goals for providing medication therapy management (MTM) services. Describe appropriate activities for technicians, student pharmacists, and pharmacy practice residents involved with MTM services. Discuss reimbursement strategies to incorporate in the MTM business model. Outline the process and key considerations of making MTM services operational and integrated with existing services. Identify measures to track the economic, clinical, and humanistic outcomes of an MTM service. Project revenues and expenses to establish fees for MTM services. Review elements of a marketing plan for attracting patients, providers, employers, and payers to MTM services. Identify areas of therapeutic knowledge essential for providing medication therapy management (MTM) services. List at least seven types of medication-related problems and possible solutions. Describe strategies for and limitations of using clinical practice guidelines during MTM services. Explain pharmacodynamic and pharmacokinetic changes that are common in elderly adults. Define the term geriatric syndromes. Explain the risks of medication-related problems in elderly patients, and strategies for reducing their incidence. List patient assessment strategies that may be useful during MTM visits. Identify patients with low health literacy. Describe techniques that support open communication with patients, including open-ended questions and active listening techniques. Describe a strategy for improving the cultural competence of pharmacists providing patient care during MTM visits. Identify the stages of behavior change in the Transtheoretical Model of Change. Describe the communication process used in motivational interviewing. Outline ways to adapt patient communication strategies when caring for patients with functional impairments. Identify pertinent information that should be obtained from patients and other health care providers prior to a medication therapy management (MTM) visit. Explain how to greet a patient and begin a patient interview during a medication therapy review. Systematically review a patient’s medication regimen to assess for medication-related problems (MRPs). Assess whether an elderly patient requires dosage adjustments for drugs that are cleared renally. Describe a strategy for prioritizing MRPs. 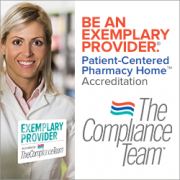 Identify components of the personal medication record and medication-related action plan. Describe the steps involved in completing an assessment of a patient’s medication-related needs. Explain information that should be included in a SOAP note. Describe how to document MTM services for internal records, patient records, and communications with third parties. After completion of the self-study portion of the certificate training program, participants must complete two pre-seminar patient cases. The pre-seminar exercises are intended to provide participants with initial experience in conducting a medication therapy review. Completing these exercises will give participants a baseline understanding of the process and allow them to identify questions and specific areas of difficulty to address during the live seminar. This activity is integral to a comprehensive learning experience and is useful for identifying personal areas for additional practice and improvement. Participants should be prepared to use these patient cases during interactive portions of the live seminar. To maintain patient privacy, participants must ensure that no patient identification information is included on the medication therapy review forms. Friends, family, and/or other patients with whom the pharmacist feels comfortable are all appropriate candidates for this activity. The pharmacist should explain to the patient that the interview and documentation are for educational purposes only, and the patient’s identity will remain confidential. Explain how to overcome communication barriers and employ active listening when interviewing a patient. Conduct a thorough medication therapy review. Complete a personal medication record (PMR). Develop a medication-related action plan (MAP). Assess patient-specific data and issues, and interpret these findings to identify the patient’s medication-related problems. Account for pharmacokinetic and pharmacodynamic changes when reviewing an elderly person’s medication regimen. Develop a list of the patient’s drug therapy problems. Establish goals of therapy for each medical condition and medication-related problem identified. Make recommendations for resolving situations in which a patient’s medications are potentially inappropriate. Discuss the elements of an effective recommendation to another health care practitioner. Describe the medication use concerns and adverse drug events that affect senior patients. Explain how to bill for MTM services using the appropriate CPT code(s). Following the same format as the pre-seminar exercises and using cases from the pharmacist’s practice, participants must perform and document a medication therapy review for three additional patient cases. For each case, participants will identify and prioritize the patient’s medication-related problems, develop appropriate interventions, complete the appropriate documentation, and devise a plan for follow-up. Conduct a thorough patient medication history for three patients. Complete a personal medication record (PMR) for three patients. Develop a medication-related action plan (MAP) for three patients. Identify patient-specific data and issues and interpret these findings to assess the patient’s medication-related needs. Apply the principles of pharmacokinetic and pharmacodynamic changes when reviewing an elderly persons medication regimen. Generate a list of medication-related problems for the patient. Establish goals of therapy for each identified medical condition and medication-related problem. 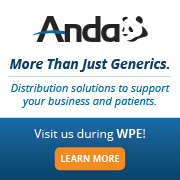 Provide recommendations for modifying potentially inappropriate medication regimens. Document services provided to three patients in a manner appropriate for evaluating patient progress, sufficient for billing purposes, and applicable to tracking of clinical and financial outcomes. A Certificate of Achievement is awarded to participants who successfully complete all activity requirements, which include the self-study activity and pre-seminar exercises, the self-study examination, the live training seminar, and the post-seminar patient interviews. Successful completion is defined as a submission of the pre-work and post-work, a self-study examination score of 70% or better, and attendance at the live seminar. Statements of Credit and a Certificate of Achievement will be available online upon successful completion of the necessary activity requirements. The self-study learning portion of the Delivering Medication Therapy Management Services certificate training program is approved for 10 hours (1.0 CEUs) of continuing pharmacy education credit (UAN 0202-9999-18-164-H04-P). The live training seminar is approved for 8 hours (0.8 CEUs) of continuing pharmacy education credit (UAN 0202-9999-18-165-L04-P). The post-seminar exercise is approved for 3 hours (0.3 CEUs) of continuing pharmacy education credit (UAN 0202-9999-18-166-H04-P). 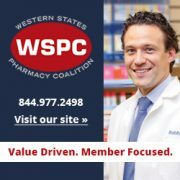 Delivering Medication Therapy Management Services in the Community was originally created in 2007 by the American Pharmacists Association and the American Society of Consultant Pharmacists.